I have two cute activites for you today that will make waiting for Santa a little easier for the kids. They are both gingerbread houses. One real one and one virtual one. Let’s start with the real thing. 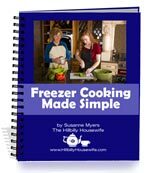 My friends over at Menu Planning Central.com have put together a cute document on how to make a ginger bread house. It includes step by step instructions and photos. Keep in mind that it will take you several days to complete the whole thing, so you may want to start on it within the next day or so. The result is so yummy and cute though, it will be well worth the time and effort you and your kids put into it. What would Christmas be without decorations? This year, expand your “deck the halls” to the yard with these ideas for decorating the yard for Christmas. During the Christmas holidays, you drive around passing miles of homes whose decorations are so enchanting you feel inspired to decorate your own yard. Once home, you plan to decorate your yard for Christmas, too. Here are some ideas to consider. Run lights all along the eaves and sides of your home, as well as around each outer window pane. Place a big wicker basket of Christmas balls on your front porch. Add garland around or over your mailbox, as well. Take red, green or silver garland and wrap it around your front railing. If you have fir trees in front of your home, add lights to all of them. Decorate them with ornaments and garland, too. Better still, if you have a large tree on your front lawn, trim it with lights of all colors. If you have a spacious front lawn, put up a life size Santa or Snowman that lights up. Or, you can place an animated Santa, one that has a sensor so that when you pass it, you’ll hear “Merry Christmas” greetings. Place poinsettias on each step next to the railing on both sides. Find a large Santa boot and fill it with gifts. Place it on the front lawn. If you have a large Merry Christmas sign that lights us – place it in your front yard, too. If it has been a snow-less winter, spray the outside window panes of your home. Start at the bottom and spray up slightly to the right or left with a can of snow spray. If you cannot afford the traditional Santa and reindeer with sleigh on the roof, purchase or make your own sleigh, and fill it to the brim with empty wrapped presents. The sleigh would look lovely on the front lawn. Don’t forget – Christmas wouldn’t be Christmas without the Nativity Scene. Choose a special place for the Nativity Scene as well. Decorating your yard for Christmas can involve every member of your family. Make it a special time. Draw a plan, together, to decide where each Christmas item will be placed on your front yard. Don’t be surprised when you see cars slowing down to admire your decorations, too. The family friendly menu mailer – Dinner recipes that you and your kids will love send to your inbox everyday. Christine will even create a grocery list for you. Fixing dinner every night couldn’t be easier. Give it a try! One of the big joys of the Holiday season is to decorate the house. Get your children involved this year. Here are some on ideas on how to make Christmas decorations with kids. Kids love making their own Christmas decorations for their home and displaying them proudly. Use ribbons and bows to decorate lamps, curtains and drapes. Choose different color ribbons and bows according to the colors in your home. For example, if you have white curtains, add red and green bows you can stick onto any surface, and arrange the bows on the white curtains any way you wish. Kids may want to decorate the drapes using different sized white doilies, and fill the drapes with snowflakes. Attach green or red garland to the bottom of the drapes, and hang small light colored ornaments on the garland. Kids can also decorate the entertainment center with candles of all colors, little glass bowls of Christmas balls, and Christmas figurines. Whether the entertainment center is wood, white or black, this is a sure way to make the entertainment center a Christmas display. Have a coffee table? If the coffee table is glass, the kids can decorate the edge of the coffee table with garland and ornaments. Remember to choose a garland that compliments the colors in the room. Tape the garland around the table. Start with taping the garland at one corner of the table and let the garland hang a few inches. Repeat the process: tape and hang, until you have hung the garland completely around the coffee table. Then add favorite ornaments and hang them on the garland. This is a wonderful visual effect that also works on your mantel or a banister or railing, too. Your children can create Christmas artwork with markers, paints or crayons. If you display it in a nice frame, it will complement your home décor and look like you paid money for it. And, of course, a favorite Christmas decoration is a gingerbread house. Create a gingerbread house with your children. The gingerbread house will be a perfect display for a countertop or in the middle of your coffee table. Choosing Christmas décor ideas for kids to make is easy; arranging them to compliment the décor of your home is the challenge. Choose the decorations, and have the kids use their imagination to turn your home into wonderland of color. Enjoy crafts, activities and plenty of festive holiday recipes with the kids.